Good dental health is a key component of your general well-being. Whether you need an experienced general dentist for yourself or a qualified and compassionate family dentist for your children, Dr. Jorge Montane has the skill, knowledge and friendly demeanor to ensure that your dental needs are met in an effective, gentle and caring way. To schedule an appointment at our state-of-the-art Fremont office, please contact Montane Dental Care today by completing the form on this page or calling 510-795-0444 today. We proudly welcome patients from Newark and Union City. Daily hygiene, routine cleanings and regular checkups with Dr. Montane are the cornerstones of good oral health. General dental services focus primarily on the health and functionality of your teeth and gums. 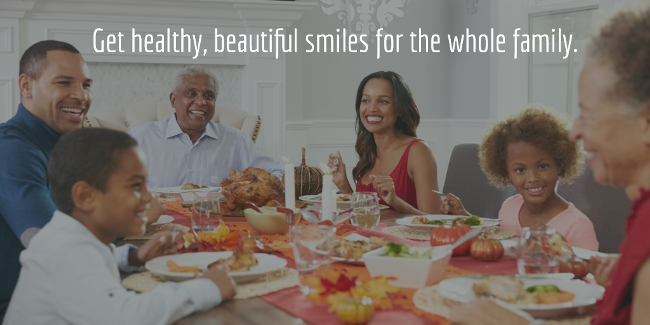 Not only do healthy teeth and gums look great, but they can help to prevent costly and extensive dental work in the future. The sooner bacteria and decay are detected, the easier they are to treat and remove. It’s important to identify decay before it damages your teeth, tooth roots or gums. With most cavities, Dr. Montane can remove the decay and place a filling or other restoration to protect and strengthen the tooth. Postponing cavity treatment for too long could result in a larger problem and more extensive treatment. Avoiding serious and costly dental problems can be as easy as staying on track with regularly-scheduled dental exams. We encourage most of our patients to visit our Fremont office at least once every six months, but certain dental issues may require close monitoring and more frequent visits. Dental implants: If you are missing one or more teeth, dental implants may be the ideal solution for you. Unlike other tooth replacement options, dental implants are surgically implanted into your jaw bone, replacing the tooth’s root as well as its crown. This not only restores your smile to its natural beauty, it offers unmatched support and bone preservation. Crowns and bridges: Porcelain crowns and dental bridges are fixed restorative devices that offer your smile strength and stability. A porcelain crown or “cap” is used to completely cover a damaged or weak tooth. Crowns can also be used with dental implants to replace missing teeth. If you are missing one or more teeth, a dental bridge can be used to fill the gaps left by your missing teeth. Regardless of your specific needs, Dr. Montane will work with you to find a dental solution that meets your needs and budget. Tooth-colored fillings: Despite your best efforts, it’s possible that you may experience a cavity from time to time. At Montane Dental Care, we offer tooth-colored filled made of the highest-quality of dental material that blends seamlessly with the appearance of your existing teeth. TMJ treatment: If you are experiencing jaw stiffness and chronic headaches, you may suffer from TMJ dysfunction caused by jaw misalignment. Dr. Montane will evaluate your symptoms, identify the cause of your condition and offer treatment recommendations to get you feeling better and back on track. Onlays and inlays: Dental onlays and inlays are dental restorations that adhere to the surface of your tooth and are polished smooth. Onlays and inlays restore strength and function, seal areas of decay and fix cases of wear and tear that a simple filling cannot. Inlays are restorations that are fixed to the inner cusps of teeth. Onlays are placed across the biting surface of a tooth and extend over the cusps. Emergency dentistry: Unlike your regularly scheduled checkups, dental emergencies usually happen completely unexpectedly and require immediate attention. Whether you have had a tooth knocked out or are suffering from an abscessed tooth, we will do everything we can to see you right away, stop your pain and begin treatment. Periodontal treatment: Gum disease is an inflammatory condition that affects the tissues that surround teeth and is the leading cause of tooth loss. Once gum disease sets in, bacterial toxins damage the tooth’s connective tissue and bone, leading ultimately to tooth loss. Through regular checkups, Dr. Montane can ensure your gums are in tip-top shape and treat periodontal disease when necessary. Endodontic (root canal) treatment: Once a tooth has become infected, root canal treatment may be the only way to prevent your tooth’s eventual loss. For some people, root canals still carry an outdated reputation for being painful procedures. While modern dentistry has helped root canals become quite normal and comfortable treatments, Dr. Montane’s personal commitment to patient comfort helps to make the process virtually pain-free. Breath treatment: It’s never pleasant to be told that you have bad breath, but it could be more than just a matter of social acceptance, it could be a symptom of untreated gum disease that could threaten your oral health. Dr. Montane can determine the cause of your bad breath and offer treatment options to restore your natural, pleasant-smelling breath. Professional dental cleanings and exams: The first time you visit Montane Dental Care, we will give your mouth a thorough dental examination. We cover every aspect of your oral health, from your teeth and gums to your lips and cheeks. We check for signs of cancer, gum disease, decay and infection. You will also receive a deep cleaning and advice on how to keep your teeth strong and healthy for years to come. Orthodontics: While some cosmetic dental treatments such as porcelain veneers can effectively treat mild cases of crooked or misaligned teeth, more sever cases may require braces. Our orthodontic treatment options include both clear and traditional braces to meet the needs and goals of patients of all ages. Dentures: A smile just isn’t a smile if it’s incomplete. Not only do missing teeth detract from the beauty of your smile, they can cause a host of problems, from difficulty eating and speaking to jawbone loss and diminished confidence. Full dentures, partial dentures and implant-supported dentures can restore your smile’s appearance and functionality. Children’s dentistry: The experiences your child has at the dentist’s office will affect the way your child perceives dental appointments for years to come. It is important that these early experiences are positive and friendly. Dr. Montane prides himself on providing children with kind, gentle and caring children’s dental services and helping them establish dental habits that will last a lifetime. The National Cancer Institute estimates that every hour, one American dies from oral cancer. Fortunately, the success rate for treating oral cancer is very high, as long as it is detected early. The survival rate for individuals whose oral cancer was diagnosed early is up to 90%. However, the survival rate drops to 20% when it is detected too late. At Montane Dental Care, all our patients undergo oral cancer screenings during routine examinations. Dr. Montane carefully assesses every aspect of your oral health, including the identification and monitoring of any abnormalities. Dr. Montane understands how the fear of pain can keep some people from getting the important dental treatment they need. By using advanced techniques, he strives to make every dental appointment more than just comfortable; he works to make each procedure as completely pain-free as possible. As Fremont’s premier dental practice, Montane Dental Care is committed to providing each patient with the most advanced techniques and technology available in a friendly and welcoming environment. From our advanced laser treatments to our state-of-the-art X-ray, camera and imaging systems, there is no dental condition we cannot help you overcome. Dr. Jorge Montane has been helping patients achieve their dental goals for more than three decades. As part of his dedication to excellence, he is committed to providing unmatched personal attention and beautiful, world-class results. Dr. Montane understands that the best results come from hard work and an individualized approach to patient care. He will take the time to get to know you and understand your goals. He will explain all of your options and help you decide which treatment best suits your needs, budget and lifestyle. You will never be pressured or rushed into making a decision. 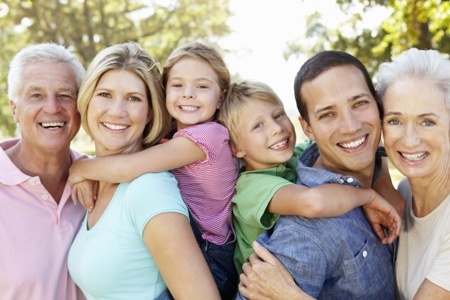 To learn more about the general and family dental services available at Montane Dental care, please call 510-795-0444 today. We welcome patients from Fremont, Newark and Union City, California.